Who you choose as your IT support company matters. That’s why it’s important that you select one that offers a full complement of services. QualityIP is that provider. We offer Managed Infrastructure, IT Security, Cloud, and IT Support as well as Specialized Services like business phone systems and customized procurement. We service these cities and their surrounding areas in the Southwestern Florida area: Fort Meyers, FL and Naples FL. 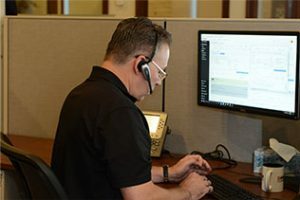 We offer the longest HelpDesk hours in the Fort Myers, Naples area. It’s one of the reason we’ve won awards for customer service. We staff it from 6AM until 11PM weekdays and on weekends as well. Plus, one of our expert technician is on call 24 hours a day, every day of the year. In addition, local onsite support is readily available wherever you are and whenever your business requires it. Truly, we’re there when you need us! You can expect friendly, knowledgeable, and professional IT Support for our team of experts. They have the training and certifications needed to make sure your network runs efficiently and stays secure. However, when there is an issue, they explain what’s going on in a way you can understand. By asking the right questions, and really listening to your answers, we can plan for your future growth and help you take advantage of advancements in technology. We call it an IT Roadmap, and it’s designed to help you achieve your business goals. We’re different because we not only assist you with your technology but chart your future success. Discover what makes us the best managed services provider in Fort Myers, Naples, and throughout Southwest Florida. Ask us about our no obligation IT assessment.